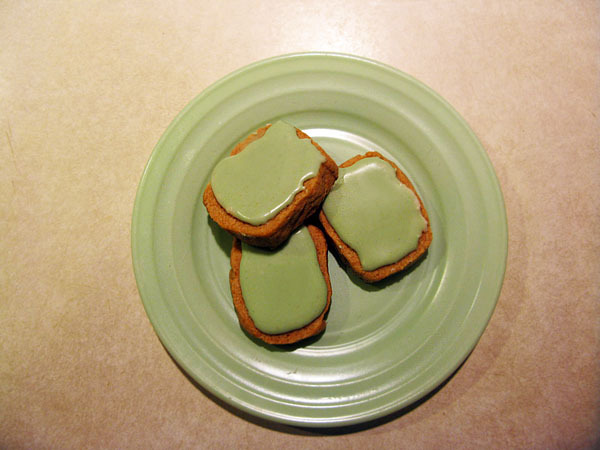 I'm not much for green beer, but I'm all for green cookies. I made these Vegan Lemon Ice Box Cookies with Lime Icing last weekend. Maybe I'll come up with something minty to bake tomorrow night. Any ideas? Make grasshopper pie! It's mint, green, and delicious. The cookies look good too tho. They look like shortbread cookies.